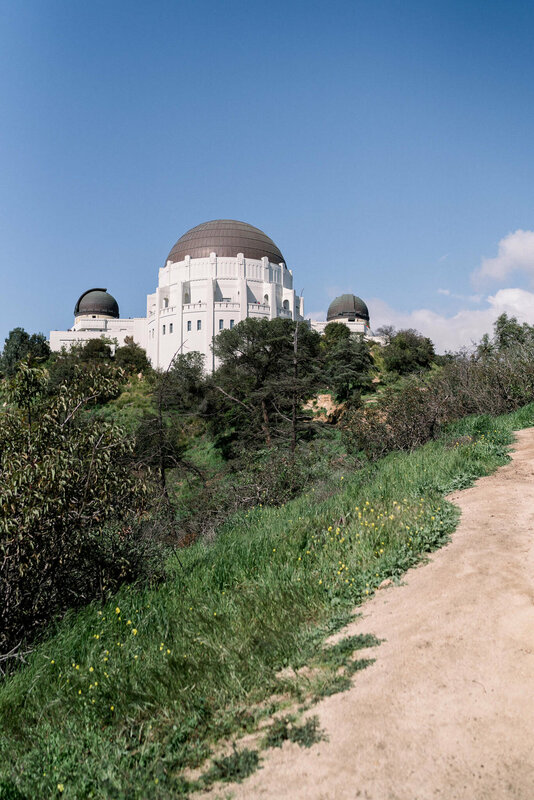 We had been looking forward to Melissa & Kyle’s engagement session at Griffith Observatory for such a long time! 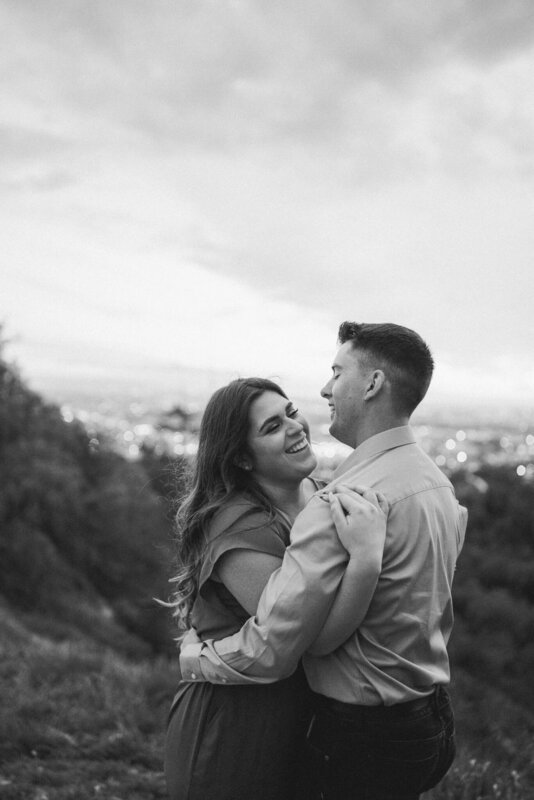 Though these two are from the Chicago area (where Melissa still lives now), they have made Griffith a usual date spot since Kyle moved to SoCal for the military. Being in love with the film La La Land, her heart was set on her engagement photos being inspired by that. For anyone who is from here or has visited Griffith, it’s INSANE on Saturdays and sunsets… which is what we were trying to do! 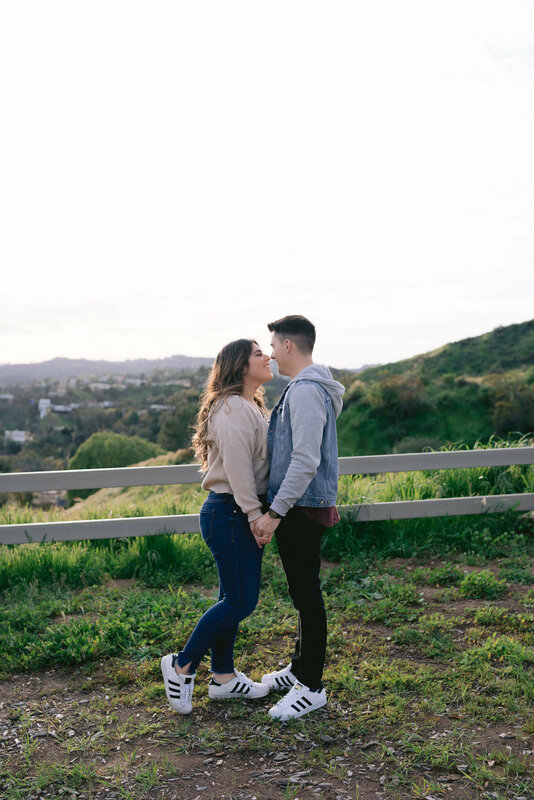 We battled with traffic, delayed shuttles, crazy Uber drivers, and a race with the sun (literally, there was sprinting involved), but I absolutely adore how this session turned out, and it was so amazing to work with these two!